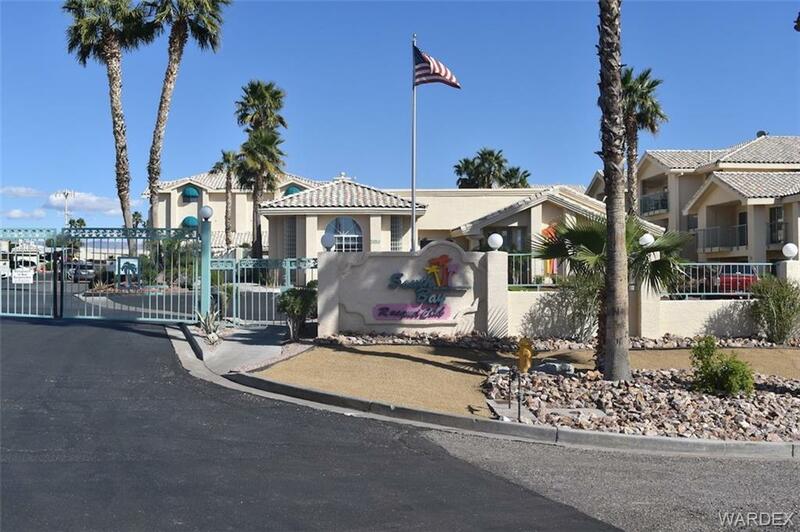 Never lived in 2 bedroom, 1 bath home in Laughlin's premier "South Bay" gated condominium community. Luxurious granite counter tops, tile floors in wet areas and richly carpeted living room and bedrooms are yours to enjoy. The community features 2 heated pools and spas, tennis courts, a steam sauna, fitness center and community center. South Bay is located just minutes from Casinos, dining, entertainment and of course the majestic Colorado River.